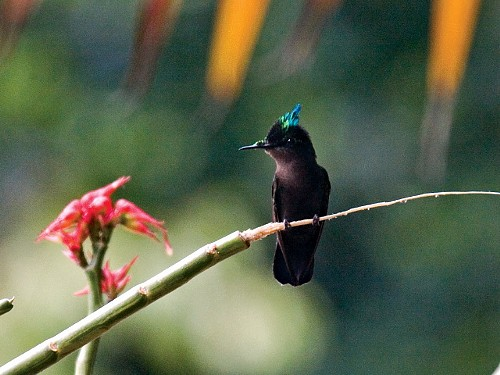 Hummingbird’s Seacret is fully air-conditioned. 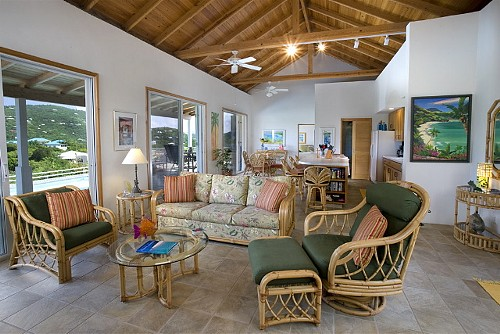 With two Master King suites, Great Room with Gourmet kitchen, Living room, heated pool, walk to beach, sunrise all year long, sunset colors spring/summer/fall this villa has it all. 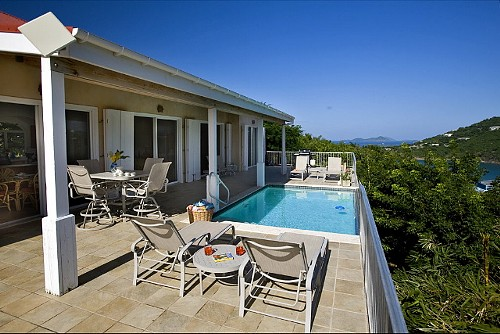 The expansive deck fronts the full house so all rooms have fabulous views, breezes and pool access. 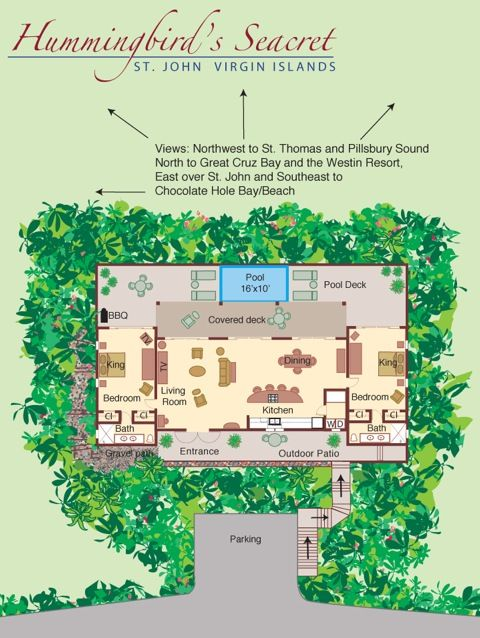 This 2 bedroom home in Great Cruz Bay has a 280 degree view ENE to SSE overlooking Great Cruz and Chocolate Hole, with views to the northern outer cays and St. Thomas as well as all the sunset colors. A short walk brings you to the Westin Beach. The pool is just the right size (16 x 10 x 5) for couples, family groups and even little ones and is heated in the fall and winter. There are plenty of lounges and chairs and seating in sun or shade. 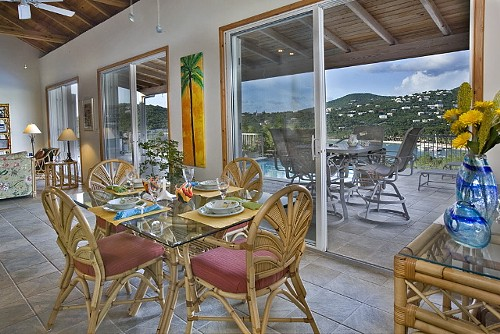 Offering both indoor dining as well as outdoor pool deck dining area. The large central great room has a very spacious living area with TV, Cable, VCR/DVD, dining area, and a fully equipped kitchen, all with a/c. The house has wireless DSL. 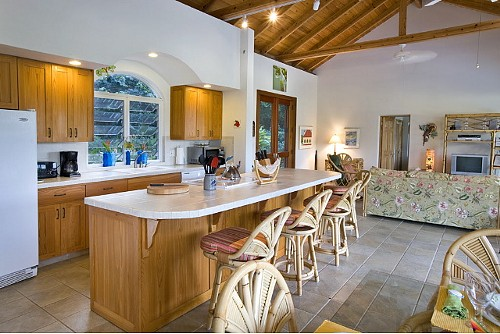 The gourmet kitchen is well equipped including a Weber grill on the pool deck. Rates are based on the number of bedrooms used. Two air-conditioned, completely equal, master suites with king beds, at either end of the house guarantee privacy for 2 couples or a family. 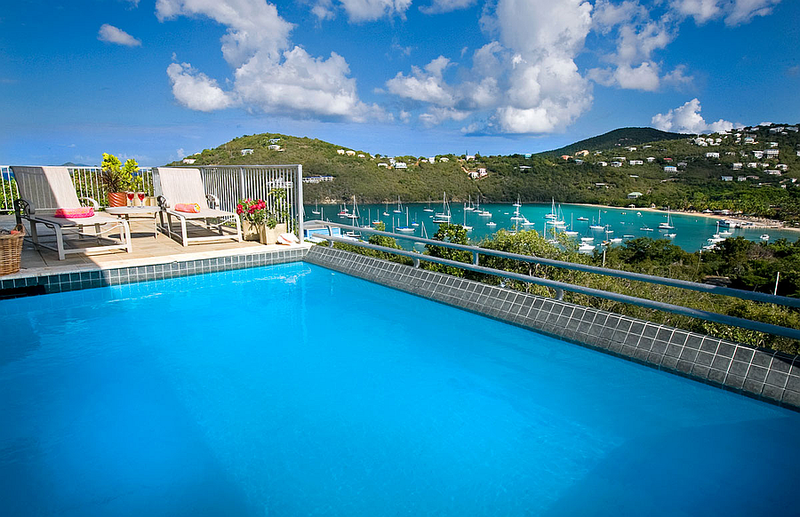 Both have wonderful water views and great breezes. The North bedroom also has flat screen cable TV with built in DVD. Flat screen TV in living room Has cable/DVD/VCR. Custom cypress cabinets in kitchen and baths. 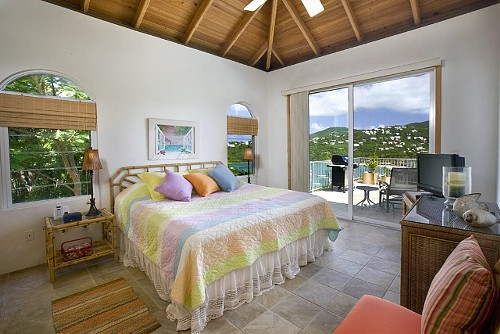 The View North from your deck, high above and overlooking Great Cruz Bay offers scenes of water sports activity along the white sand, palm strewn Westin Beach; loads of fun to watch yet completely non-intrusive. Looking South to Chocolate Hole has boats quietly on anchor and some very good snorkeling and shelling for small shells.The entry area is a fully mature garden with a lovely patio for coffee and bird watching or just enjoying the lush landscaping. 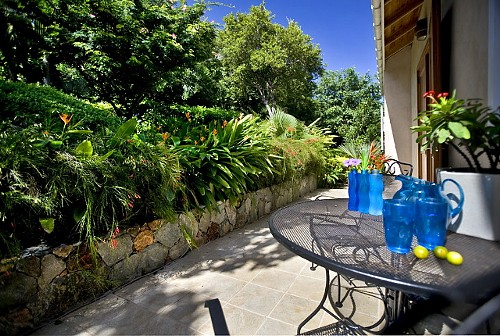 Come and enjoy a stay here at Hummingbird’s Seacret where you can experience a wonderful and relaxed atmosphere with easy access to dining and shopping as well as our spectacular beaches. 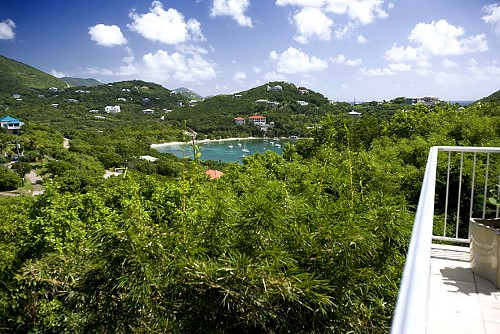 The lovely Great Cruz Bay neighborhood offers island-easy walking for those who wish to stroll, walk or jog while enjoying beautiful views all along the way. Hummingbird’s Seacret is the perfect home for many types of groups, amazingly child friendly (even the wee ones). 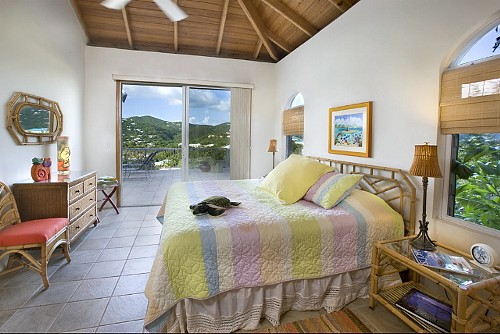 Just small enough for one couple or even a single person to feel totally comfortable, safe and secluded.